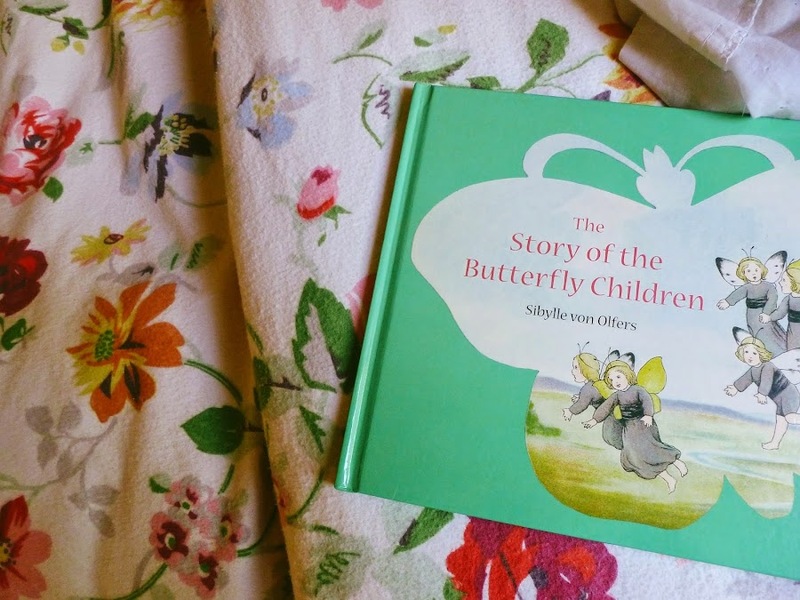 I've been meaning to write about 'The Story of the Butterfly Children' for ages! Only took me two years to get around to it. 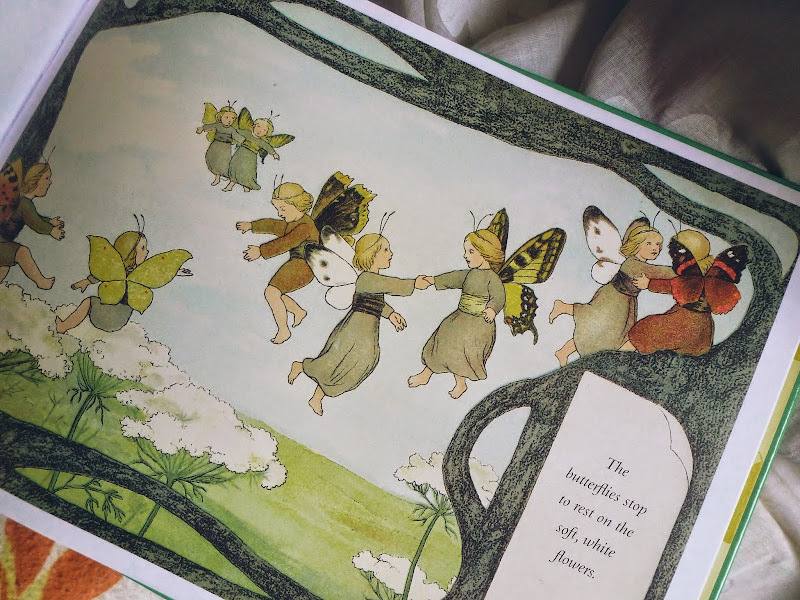 Regular readers of the blog know already that I'm a huge fan of Sibylle von Olfers and also, Elsa Beskow, who had similarly themed and styled books - I just can't get enough of their art and sweetly old fashioned tales of elves, fairies, and other magical creatures hopping about in pastoral landscapes. 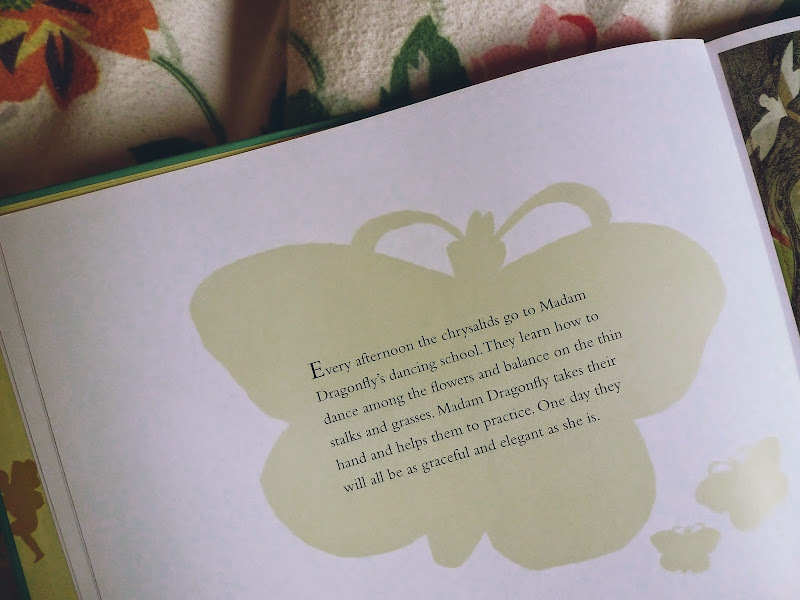 "Every afternoon the chrysalids go to Madam Dragonfly's dancing school." 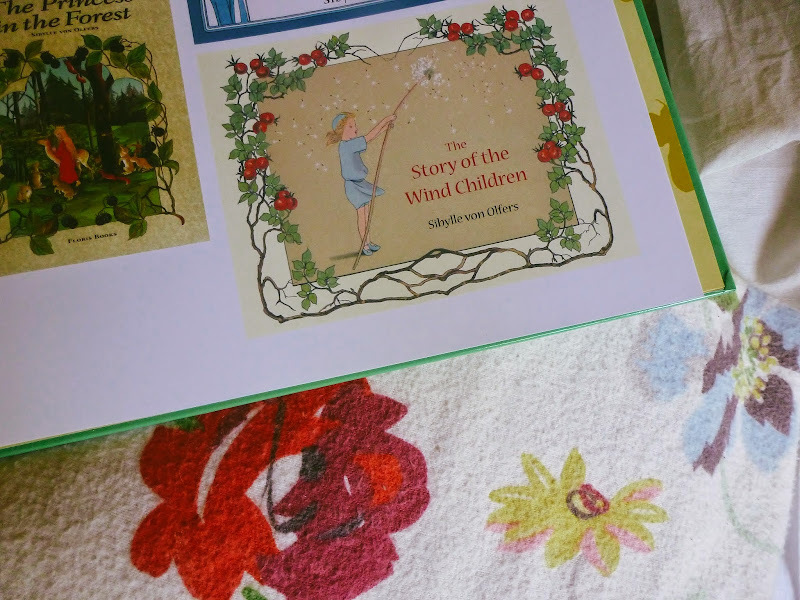 This sweet picture book is the perfect Springtime story. Tiny butterfly fairies and butterfly maidens fit and fly through spring gardens, tending to the flowers. The butterfly children have even tinier brothers and sisters, who sleep in little gossamer hammocks because they are wee little caterpillars. SO ADORABLE. 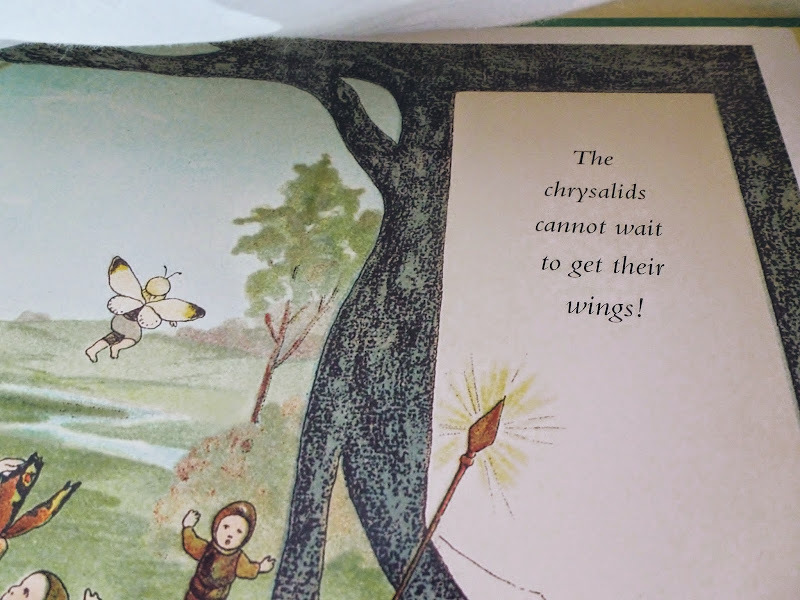 The wee (that's going to be my go-to word for this post) chrysalids are so excited for the day when they finally get their wings, and can fly though the spring air. At the end of the first day of spring, the new butterflies have an evening torchlight procession, there's a picture of it in the last photo of the post. Magical. 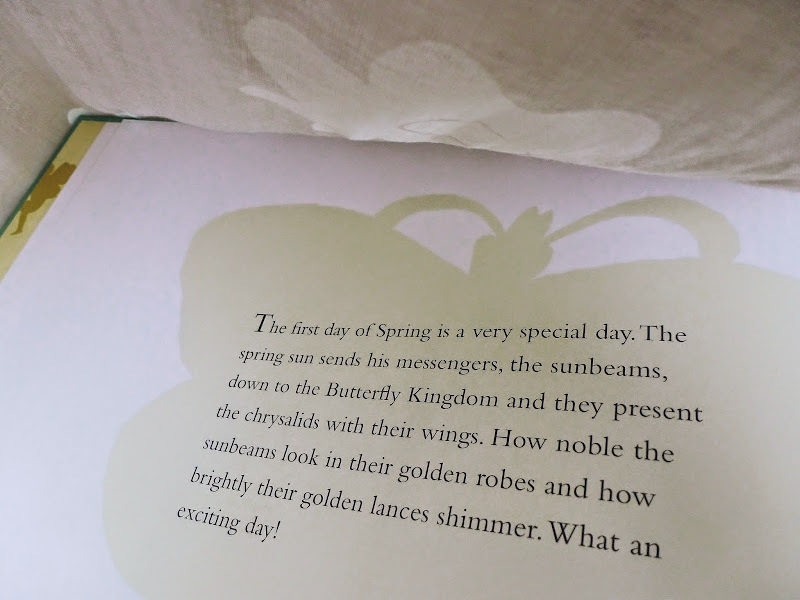 The story ends with the reminder that if you listen closely on the first day of Spring, you too might hear the revels of the butterfly children! I WANT TO HEAR THAT. We also own 'The Story of the Snow Children', which is AMAZING, and I'd really love to have 'The Story of the Root Children' as well. You can check out more Sibylle goodness right here. She was so beautiful! See below. 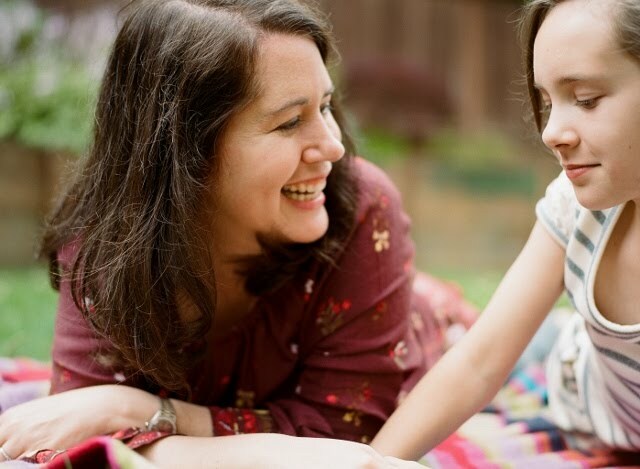 Sibylle declined her many offers from admirers, choosing instead to join an order of nuns and teach art to local schools, while creating her children's books. Sadly, she died in her thirties from a lung infection. 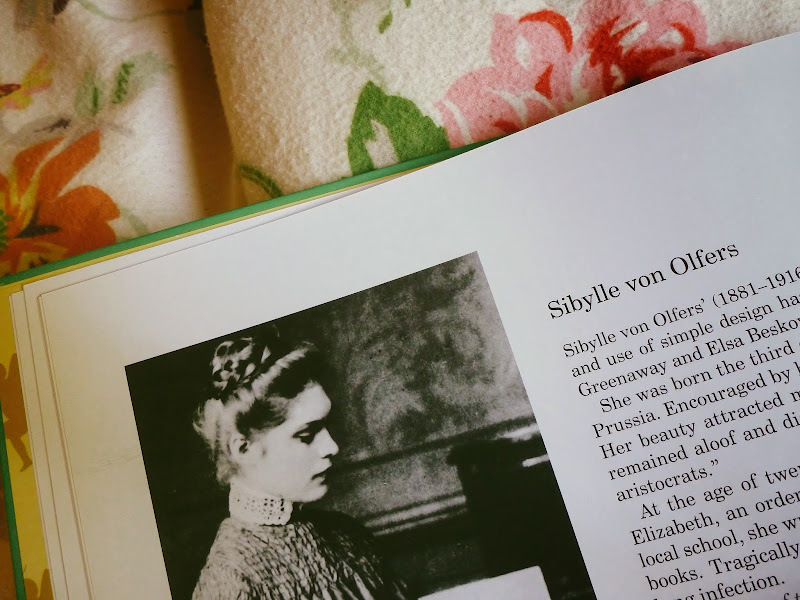 But she left an amazing legacy behind - Sibylle's books are the type that you keep forever and hand down to your grandchildren! 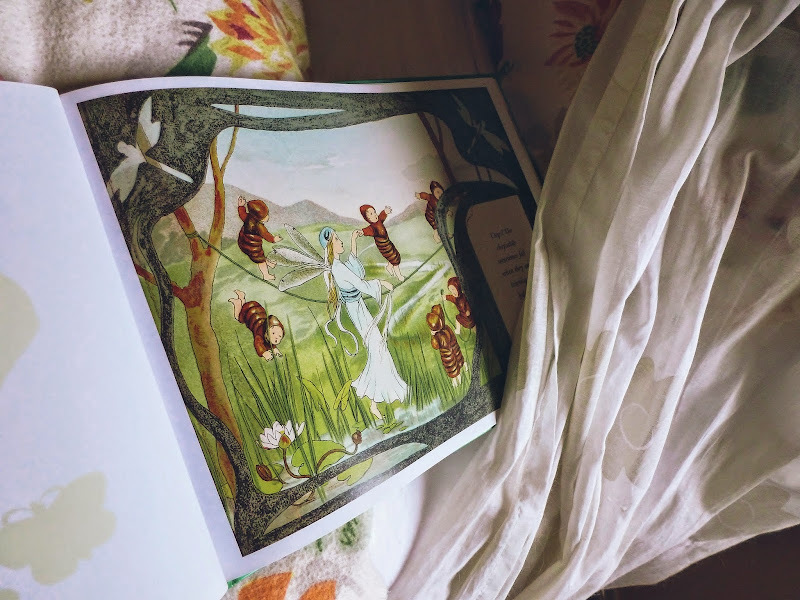 Sibylle's stories embody everything enchanted about the imagination of childhood. Her books are the reason that we will (should!) always have books - this kind of magic can't be replicated on a Kindle or some such other electronic device. These are books that you just want to pat lovingly, while holding them up to your cheek. THAT'S NOT STRANGE. Sigh. But seriously. Such beauty! If you're looking for gift worthy books (I always am) for the preschool to kindergarten set, consider some of these old fashioned tales. You won't be sorry! You'll only be sorry to give them away and not keep them for yourself. Why have I never heard of these before? Off to the library website I go, so see if I can get my hands on these! I didn't grow up with these books, or any from Elsa Beskow - I only found them as an adult. They are a bit hard to find! Like, If you walk into a bookstore, you probably won't see these on the shelves. Someday, if I ever get to open my dream bookstore and make Julia's Bookbag into a real living place, THESE kind of books would be on the shelves! Beautiful all around and so magical for my little one - who will be FIVE in a few weeks. Ahhhhhhh! Perfect age! Oh my goodness, five. And a spring baby! Oh, yes, I love these! 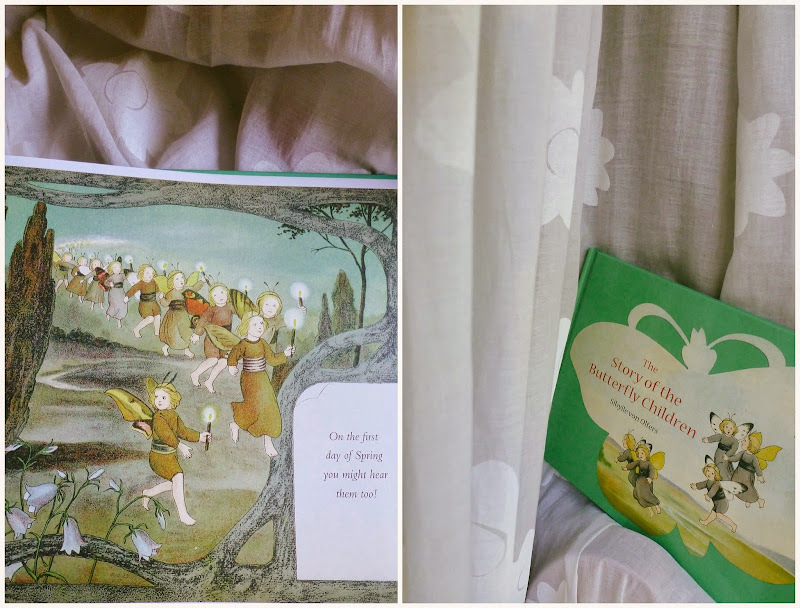 I don't own them, but I have such lovely memories of reading The Story of the Root Children to the girls when they were very young. 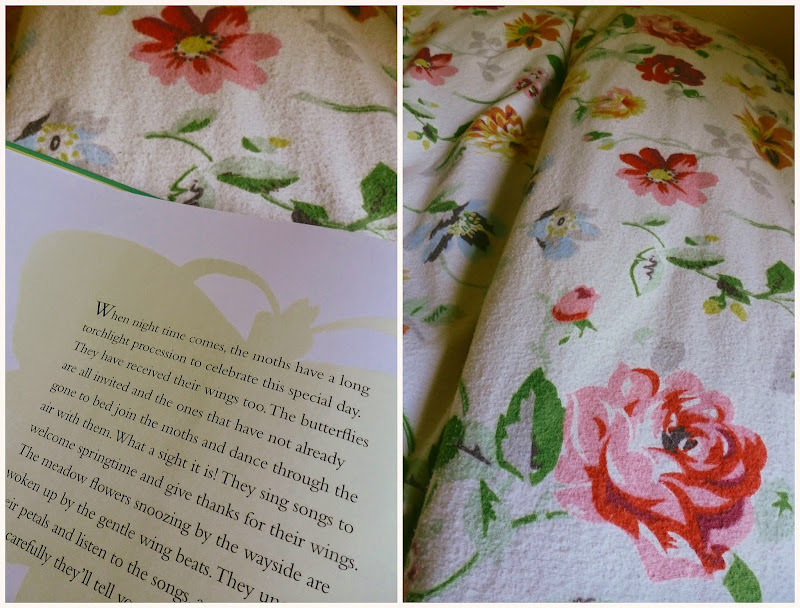 Such peaceful, lovely books. That would be so wonderful. We looked into the PNW, as the railroad runs up there, but discovered there would be union issues. :( Cry.